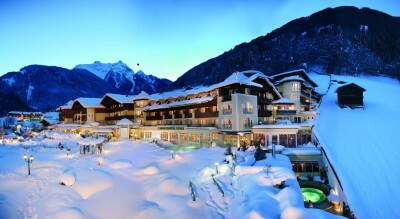 A fun-filled destination: The warm and lively vibe at Austrian resorts is an experience in itself. In fact, it’s not uncommon to find people dancing merrily on tables in bars, making it understandable that this destination has a couple of famed après ski spots, especially in the renowned St Anton. Service standards: Along with great excitement, you can also look forward to exceptional levels of service and quality at the different resorts. Ski levels/conditions: The slopes here offer variety as a given, taking care of beginners, intermediates and advanced skiers. Seeing as the resorts are not necessarily at such a high altitude as those in France, for instance, it’s best to visit this region in the middle of the season rather than right at the beginning or the end of it. Popular ski regions: This includes the Arlberg Ski Circus, which offers its visitors above-par ski conditions. It includes quite a few resorts, namely St. Christoph, Zurs, Lech and St. Anton. The there is the Zillertal Superski and the Ski Welt areas, both of which link a couple of resorts. The Europa ski region is also a stellar choice – it combines a lovely lakeside town and a beautiful village, while offering reliable snow coverage and glacier skiing.